the King who said, "Tomorrow we will go to catch them." the two rivers, right up into the kraal. 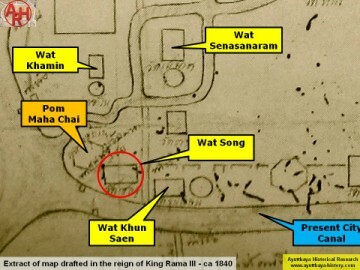 city and noticed the use of the dry land in front of the city walls by the Burmese attackers. 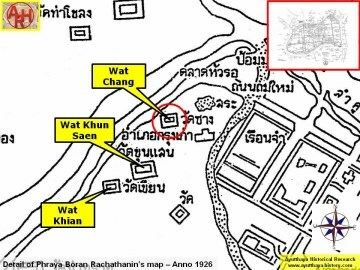 city walls and behind the Maha Chai fortress. although heavily discussed by scholars and rejected. where the present Hua Ro market is situated. 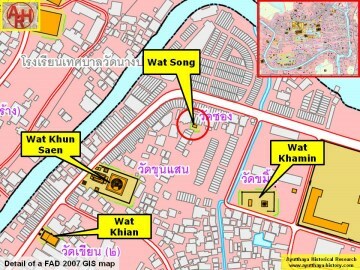 Pho, Wat Tha Sai to Wat Rong Khong and Tha Khun Nang to Wat Mae Nang Plum. 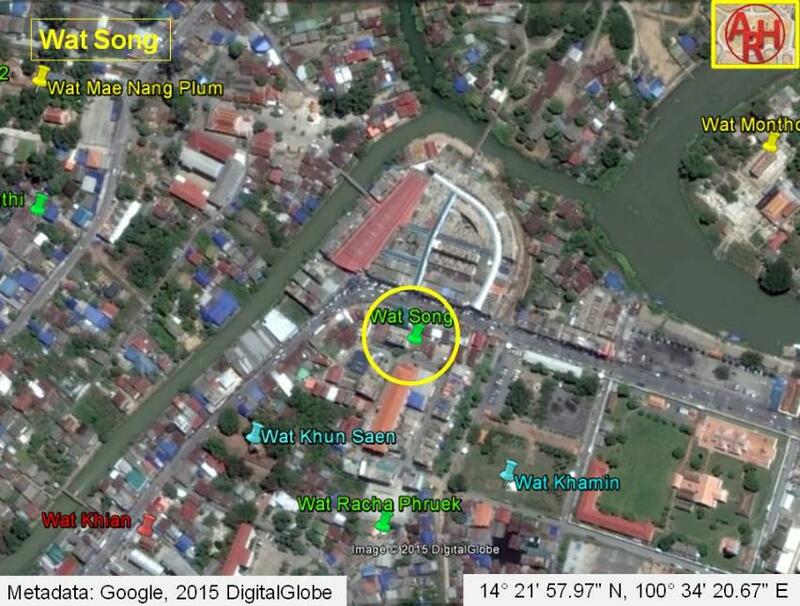 Wat Song was located in geographical coordinates: 14° 21' 57.97" N, 100° 34' 20.67"
 The Chao Phya River in Transition - Steve Van Beek (1995).